What does Newfoundland have in common with the challenges of building a human settlement on Mars? They are both isolated places with harsh landscapes facing challenges in the areas of energy, transportation, and food security. But what if the technologies needed for Mars settlement could be tested by transforming Newfoundland into an ecologically and socially just Island of the Future? Elon Musk, the Canadian-American CEO of SpaceX, Tesla, and chairman of SolarCity has plans to “colonize” Mars. The goal of SpaceX is to enable people to live on other planets. Newfoundland may be one ideal location to test technologies that are needed for the successful settlement of Mars. As an island in the North Atlantic with infrastructure challenges, extreme weather, and a need for economic re-invention, Newfoundland is the perfect site to test the technology needed for a self-sustaining Mars settlement in an environment that reproduces some of the challenges presented by building a large scale Mars settlement. Although there are plenty of analogues for Mars environments on Earth, we have yet to talk about settlement analogues: communities with the potential to test Mars settlement technologies in a process that will also improve those communities’ access to sustainable food, housing, energy, etc. Newfoundland and Labrador are isolated from the rest of North America by water, history, and ongoing transportation issues. The island of Newfoundland can only be reached by complex and expensive plane flights, which are often delayed by weather problems, or by long ferry trips. As a result – food, supplies, and almost everything else are very expensive. The primary economy in Newfoundland for hundreds of years, cod fishing, mostly collapsed, leaving the province grasping for resources. As a result the province has been increasingly focused on fossil fuels and energy mega-projects as a solution. But there is a different, and better way forward. I propose that through collaboration with local communities, businesses, and Memorial University, Elon Musk and his companies can help remake Newfoundland into an island of the future while also demonstrating proof of concept for the necessary Mars settlement technologies. Here’s how it could be done. Newfoundland has energy problems. The twitter hashtag #DarkNL appeared in January 2014 as Newfoundland suffered through extended blackouts. The provincial solution has tended to look at fossil fuels and hydro-power, and there are now discussions of fracking. But there is a green solution: wind and wave power, along with new household battery technology. SolarCity‘s battery storage technology is a perfect answer. To charge those batteries, Newfoundland needs an energy generating wind turbine design that can withstand extremely high wind. For a place that regularly has winds above 70 km/h and blackouts, there would seem to be an obvious solution: a new kind of wind turbine to power all the small coastal communities (outports) with the abundant, never ending winds of the North Atlantic. 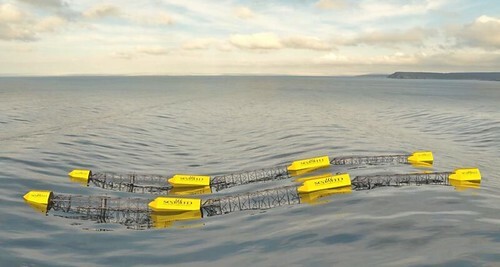 Along with existing local businesses such as wave power company Grey Island Energy Inc., SolarCity could make a city like St John’s energy independent. Companies like Nalcor are trying to integrate wind power into communities that otherwise rely on diesel generation, but what’s needed here is a visionary approach, something more radical. Newfoundland has transportation problems as well. 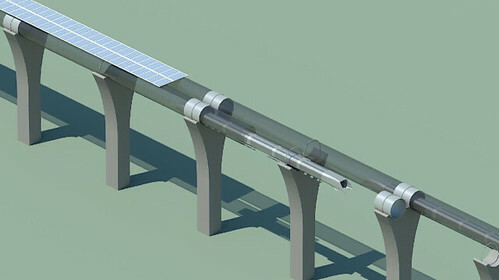 The Trans Canada Highway across the island could be supplemented with Musk’s experimental Hyperloop transportation system, connecting the two largest communities on the island, Corner Brook on the West coast and St. John’s/Mount Pearl on the East coast. 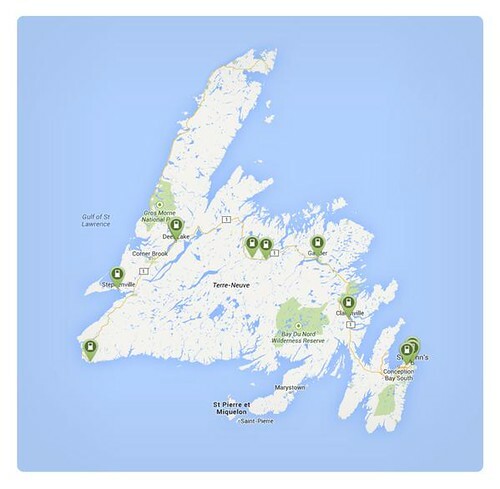 In the meantime, there are already 50 electric vehicle charging stations on the island. By partnering with Green Rock EVS and others, Tesla could cut Newfoundland’s reliance on fossil fuels, and make electric vehicles commonplace across the island. This would also provide a location for Tesla to work on cold-weather EV solutions. The island is the perfect place to test both proven and emerging transportation technologies. Finally there is the matter of food. While there are farms, and some local produce in the summer, Newfoundland has to ship almost all food in to meet the need of the population. This problem impacts Newfoundland, Labrador and all of northern and arctic Canada. It is a problem we will have to solve for the settlement of Mars as well. How will we grow enough food to sustain isolated communities? One answer might be in vertical farming. Newfoundland needs a visionary approach to building new greenhouses that can grow food year-round, even during the long, cold, dark winter, and can use sustainable, green, renewable power to do it. One example to draw on is the vertical farm project in Jackson, Wyoming. All of these projects would test technology necessary for settlement of Mars, all of them would create jobs in Newfoundland, and all of them would address urgent needs for the province. St. John’s Newfoundland is home to the province’s university, Memorial University of Newfoundland, which has world class facilities for sciences alongside those of the National Research Council Canada. Combining the expertise of the scholars at Memorial University with industry experience in resource extraction and marine industry, SolarCity, SpaceX, Tesla, and others could help transform Newfoundland into a model Island of the Future while testing all the requisite technologies for Mars settlement. My work on the anthropology of space has taught me that to successfully settle a planet like Mars, we need serious testing of an “analogue” or simulation settlement. The work of simulation is vital as we learn and test at places like HI-SEAS in Hawaii, The Mars Society’s Mars Desert Research Station (MDRS) in Utah, and The Haughton-Mars Project on Devon Island in Arctic Canada. But the next step is to move beyond a few crew members living in a habitat for a few weeks, or even a year. We need to understand how to meet the needs of a larger scale settlement. We need to transform a community and the land around them into a functioning, self-sustaining, ecologically responsible settlement. This is a problem for Mars, but clearly also one for Earth. My experience living and working here on Newfoundland, learning about the economic and social situation, suggests to me that Newfoundland is in need of this kind of transformation. Newfoundland has the natural, institutional, educational, and human resources to make this possible. These ideas are just a beginning. There is much more to understand about what a large scale settlement project would look like. The first step though is to imagine the creation of a sustainable Island of the Future. What other projects could transform Newfoundland into an Island of the Future while preparing humanity for space settlement? Are there other sites that could work as testing grounds for Mars settlement technologies? What other technologies could be tested to ensure self-sufficiency of a settlement population? What can Newfoundland’s history as an isolated community also teach us about how to approach building and maintaining a successful community on Mars?